An employer does not have to provide indefinite light duty to an employee as an Americans with Disabilities Act accommodation, the 11th U.S. Circuit Court of Appeals has ruled. In Frazier-White v. Gee, No. 15-12119 (11th Cir. April 7, 2016), the court said that an indefinite extension of an employee’s light-duty assignment is unreasonable as a matter of law. Delores Frazier-White worked in the Hillsborough County Sheriff’s Office as a community service officer. When she was injured in a work-related accident, she was placed on light duty and assigned to work as a records clerk. According to the employer’s operating procedures, it reserves light-duty positions for temporary disabilities. After an employee has been in a light-duty position for 270 days in a two-year period, the procedures require that the employer hold a medical due process hearing to determine whether the employee can return to full duty within a reasonable amount of time. When Frazier-White was nearing the limit, the employer informed her in a letter that she would need to return to full duty or request an extension of her light-duty assignment. The letter encouraged her to contact the risk management director to discuss possible accommodations, including reassignment to a position that she could perform. Frazier-White requested the light-duty extension but did not offer an expected end date. She said she was still undergoing diagnostic procedures to find out why she had not fully recovered. The employer again informed her that her light-duty assignment would end in a few days and encouraged her to suggest accommodations or apply for other positions. When Frazier-White exceeded the 270-day limit, the employer scheduled the due process hearing and told her that she could use the opportunity to discuss accommodations. She declined to discuss accommodations, did not apply for any other positions and, at the hearing, said she could not estimate when she could return to full duty. At the end of the hearing, the employer terminated her. She sued, alleging that the employer failed to accommodate her disability. The U.S. District Court for the Middle District of Florida granted summary judgment for the employer, holding that her only requested accommodation — an indefinite extension of light duty — was unreasonable as a matter of law. On appeal, the 11th Circuit agreed with the lower court that indefinite light duty is unreasonable. “An accommodation is only reasonable if it allows the disabled employee to perform the essential functions of the job in question,” it said. The sheriff’s office clearly engaged in the ADA’s interactive process of looking for an accommodation that would have allowed Frazier-White to perform the essential functions of her job, the court said. However, she never identified an accommodation other than permanent reassignment to a light-duty position, which the ADA does not require. an employer may not force an employee into a light duty position. Rather than resolve a split among the circuits on the Affordable Care Act’s contraceptive mandate, the U.S. Supreme Court remanded the cases to the respective appellate courts without ruling on their merits. The ACA requires employers that offer employees group health plans to cover certain approved contraceptive methods or face penalties of $100 per day per affected individual. There is an exception for grandfathered health plans — those in existence at the time of the ACA’s adoption — as well as for group health plans sponsored by religious employers. Organizations that object to the contraceptive mandate but do not qualify for the religious-employer exemption may qualify for an accommodation under the ACA intended to protect them from “having to contract, arrange, pay, or refer for” contraceptive coverage. The accommodation requires the third-party administrator of the objecting organization to provide or arrange payments for contraceptive services for beneficiaries of the organization’s group health plan. Many of these organizations, however, feel the level of involvement required of them under the ACA still violates their sincerely held religious beliefs. After both parties confirmed that such an option was in fact feasible, the Court sent the consolidated cases back down to their respective circuits without addressing the merits of the religious exercise arguments. In other words: Work it out amongst yourselves. It’s likely that this nondecision decision was precipitated by Justice Scalia’s death back in February, leading to a 4-4 conservative/liberal split of the justices remaining on the Court. 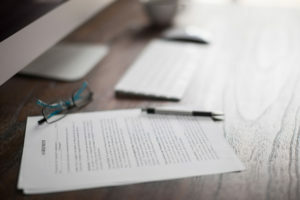 Four years after it issued a guide to help employees understand their rights under the Family and Medical Leave Act, the U.S. Department of Labor announced the publication of a similar guide for employers. According to DOL’s Wage and Hour Division, The Employer’s Guide to the Family and Medical Leave Act “is designed to provide essential information about the FMLA, including information about employers’ obligations under the law and the options available to employers in administering leave under the FMLA.” The new Guide was announced at an April 25 conference by FMLA Branch Chief Helen Applewhaite, who showed how it explains and illustrates basic elements of the FMLA. Employer Compliance Conference in Pittsburgh, sponsored by the Disability Management Employer Coalition. It begins with the employer’s response to an employee’s initial request for FMLA leave and continues through the employee’s return to work and restoration to the same or an equivalent job at the end of the leave. It follows the FMLA regulations and the course of a typical leave request in a relatively orderly manner. It contains easy to follow flowcharts so that employers can better understand the typical FMLA process, including a cute little “Road Map to the FMLA” that provides an overview of the FMLA process. You’ll even find some interactive cartoons along the way to further explain the regulations. It includes “Did You Know?” sections to give employers a heads-up on some of the lesser-known provisions and nuances of the FMLA regulations. It highlights user-friendly charts and explanation of the medical certification process, including what information is required in certifications. It provides a helpful overview of military family leave, which often can be a bit overwhelming to employers attempting to navigate this portion of the FMLA. DOL also has issued a new General FMLA Notice, Applewhaite announced during her presentation. Employers are required to post a DOL-provided General FMLA Notice in every worksite where they have employees, even if no FMLA-eligible employees work at that location. The Notice must be placed prominently in a location where it can be easily seen by employees and job applicants. According to DOL, the new poster doesn’t include new information; instead it reorganizes important information in a more accessible and reader-friendly format. As a result, employers may choose whether to continue posting the current notice or replace it with the new Notice. A PDF version of the new poster is available to download on WHD’s website (www.dol.gov/whd/regs/compliance/posters/fmla.htm). 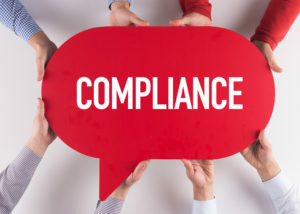 Employers in California often can assume that if they are in compliance with state law, they also are in compliance with federal law. The new Fair Labor Standards Act overtime regulation, however, represents a rare occurrence in which federal law provides employees with more protections than California law. This has created a group of “gap” employees who fall between the two thresholds, according to some experts. In a regulation that takes effect Dec. 1, the U.S. Department of Labor more than doubled its salary threshold for the FLSA’s white-collar overtime exemptions. Employees must now — in addition to meeting a duties test — receive at least $913 per week to be exempt from overtime pay. This amounts to $47,476 annually. 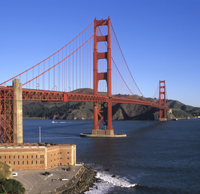 According to DOL, about 392,000 workers in California will be affected. California has its own salary threshold, set at twice the hourly minimum wage of $10, which amounts to $41,600 annually. For employers with at least 26 employees, this will increase to $43,680 on Jan. 1, 2017, and, eventually, to $62,400 by 2022. (See chart, below.) Those with fewer employees have an extra year to comply. Under both California and federal law, an employee also must pass a “duties test” to be considered exempt from overtime. The test is stricter in California, however, requiring that an employee spend at least 50 percent of his or her work time performing exempt duties. The new federal regulation allows 10 percent of the $47,476 threshold to be made up of nondiscretionary bonuses. Bonuses must be paid at least quarterly. In California, however, the threshold must be met with an employee’s base rate alone. This means that an employee could be properly classified as exempt under both laws in 2017 if he or she received a base rate of at least $43,680 plus $3,796 in bonuses. The new federal rule raised the FLSA’s “highly compensated employee” exemption threshold from $100,000 to $134,004. To qualify for this exemption, employees must receive the $913 weekly base rate and meet a duties test. California, however, does not allow for an HCE exemption. Employers across the country have several options for dealing with the new rules, including salary increases, rate cuts and overtime limits, among other things. In California, however, employers will find themselves dealing with what one law firm has called an “awkward ‘gap’ situation.” Employees who earn a salary between the state and federal thresholds — for 2017, that’s between $43,680 and $47,476 — potentially could be classified as exempt under California law and nonexempt under the FLSA until the state threshold becomes higher than the federal in 2019. In a client alert from Ogletree Deakins, the firm warned that maintaining such a situation would likely come with significant obstacles to compliance. “While such employees would not be entitled to daily overtime, meal and rest periods, or other minimum labor standards required under California law, such employees would still be entitled to overtime for all hours worked over 40 hours per week and the employer would have additional recordkeeping obligations under federal law,” wrote Robert A. Jones and Robert R. Roginson. Another firm noted that California’s requirement that employees be paid overtime when they work more than eight hours in a day would add another layer to that complex situation. “[California employers] who have employees that fall within this gap will need to adjust their current pay practices to begin tracking hours worked by these ‘gap’ employees and paying them overtime under federal law, which requires weekly, but not daily, overtime,” Aaron Buckley of Paul, Plevin, Sullivan & Connaughton LLP pointed out.